Question: Every time it rains I end up with a wet basement. The storm we had the other night flooded my basement again. This has got to stop! Every time it rains I go downstairs to see if it is wet in the back corner of the lower level, my daughter's room. I can actually smell the moisture before I get there. A very earthy scent, like dirt. When I get there I move her bed and find the carpet is soaked again. I wonder if just trying to soak up the moisture with a wet-dry vacuum and old towel, time after time, will keep the mold from growing. Or does that that musty smell is all ready too late? I've heard mold, especially BLACK MOLD, can be very, very toxic and I don't want my family exposed to this danger any longer, I'm sick and tired this! I called several sump pump contractors and they all pretty much said the same thing, they need to tear up my basement floor and I will be responsible to move my water heater and other appliances. This is all getting so very expensive and I'm terrified that there will be a dusty mess all over my beautiful home. Can't this problem be fixed from OUTSIDE the home? That is where water seems to be coming in from! It enters from two sides of my home. On one side the water pools in an area right next to the homes foundation wall where I can see visible cracks, there is also a low window on that side. The other side has an old concrete walkway that slopes towards the house, has many cracks and a big gap by the house. I'm sure if we fixed these problems I would not need a sump pump system. Can anyone help? Yes, I can help. 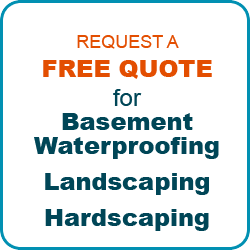 We are a local company, AAA Reicks Landscaping and Waterproofing, specializing in waterproofing basements from outside the home, without tearing up the concrete floor. 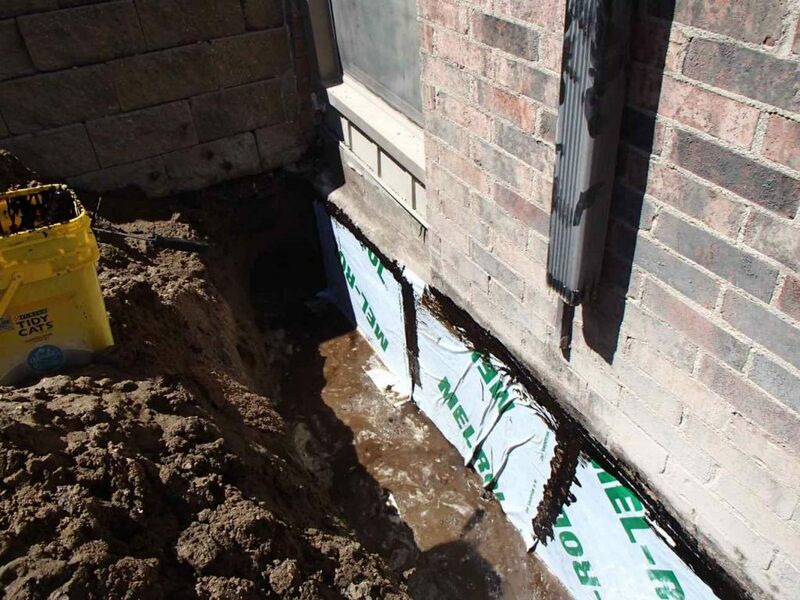 We are family owned and have been keeping basements dry for over 30 years throughout the Twin Cities. Oh yeah, and not to mention, thousands of satisfied customers. If this sounds like your story give us a call 612-369-6626. Ask for either Barb or Tony. 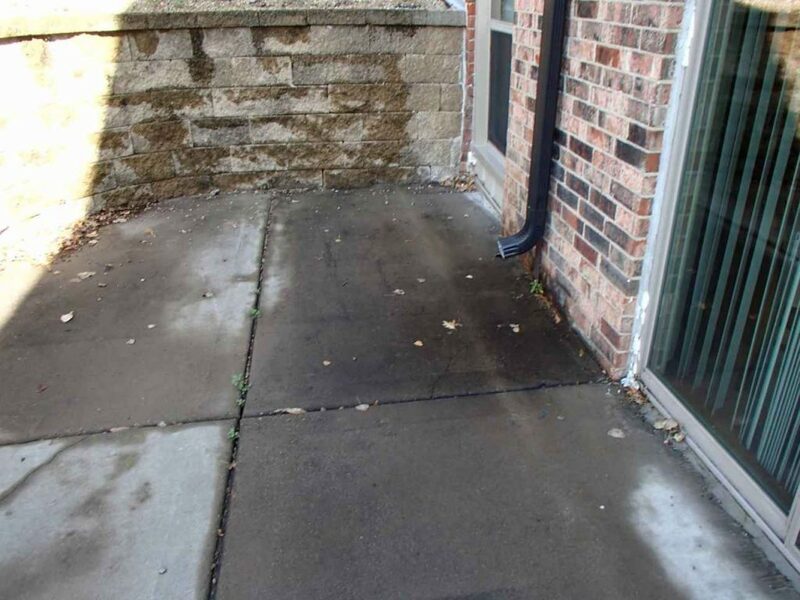 These are some photos of a job we did recently where there was leaking on the lower level due to some concrete outside that had settled and sloped back towards the foundation wall. 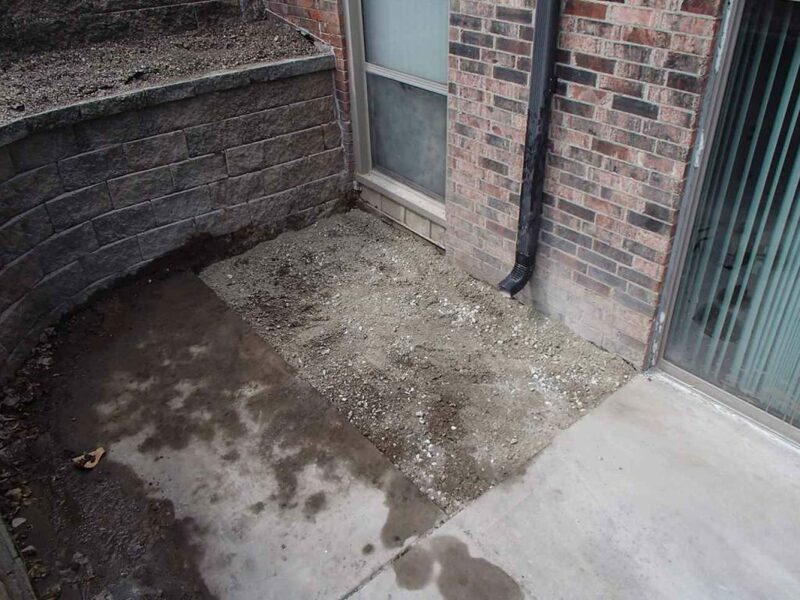 We removed the concrete slab and excavated down to the footing by hand. The foundation wall was cleaned. Holes and cracks that were letting the water in were filled with mortar and the area was primed with a primer that assures a good bonding. 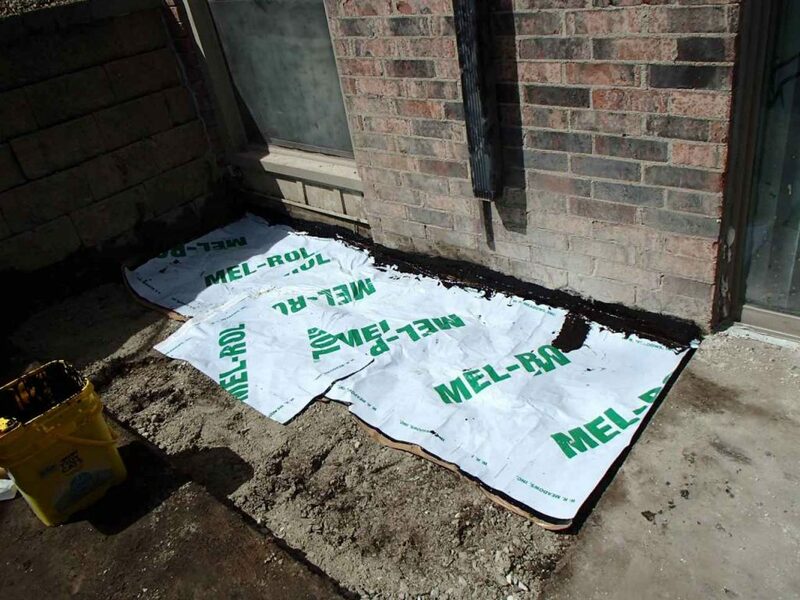 Next sheet membrane was applied vertically on the foundation wall and the area was backfilled, re-graded with a proper slope and a layer of horizontal sheet membrane was attached for added security before the new slab was installed. Call AAA Reick's Landscape And Waterproofing today. 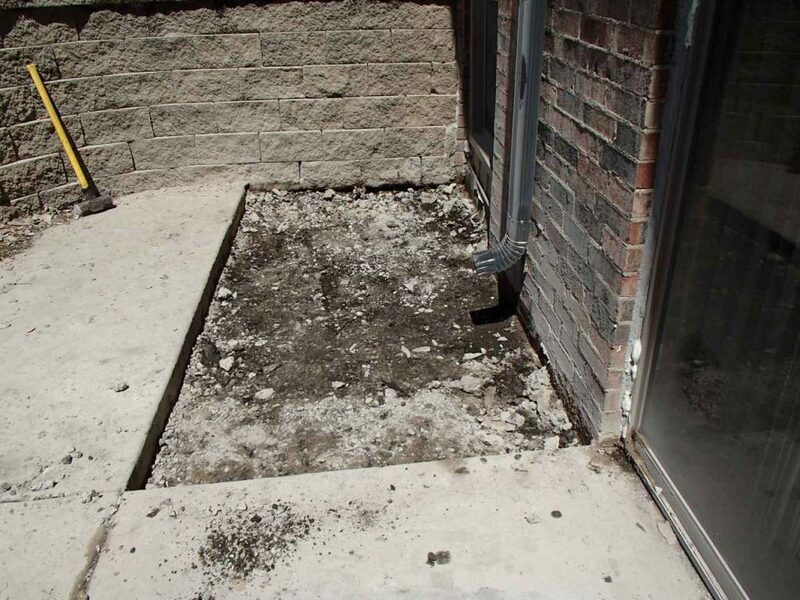 We can fix your cracks and holes and waterproof your home from outside without the mess!